See that bowl? It needs more mint. And nutriberries, yeah, needs nutriberries! 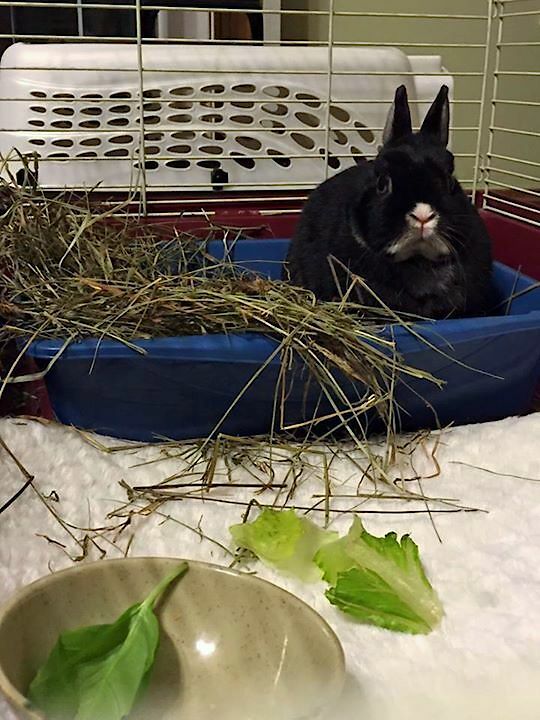 "The Netherland Dwarf that was found wandering the streets of Rock Hall earlier this month has been taken in by ESRREC, and named Fiona. She was spayed yesterday and will spend the next few days recuperating. She is full grown but barely 2 lbs in weight and full of attitude (typical for a Nethie). One of her eyes has "sectoral heterochromia" - a fancy way of saying part of her iris is a different color. Her eyes are blue but one of them is half black. Just a genetic thing caused by pigments, not a disease! Perhaps considered a "defect" by a breeder? Anyway, we wish Fiona a speedy recovery and will let you know soon when she is adoptable." So little, and yet so much bunnitude! Who can resist that turned down mouf? What a cutie! Saying prayers for you, Little One. I recently heard someone say that eventually every bunny/body will be loved. All I am asking for is that you have a forever home in time as well as in eternity. Of course, all livingness is always loved. It is just that sometimes it doesn't look that way. From my heart to yours, the promise of a prayer. She could be Mr. Toes' sister. I love her already, and I hope that someone with room in the house will love her very soon. Get her while the getting is good folks! Racer had that split-color iris .. part blue and part brown. Very dapper, he was! Same dark coat and white nose too!